14th with 45 points; 11 wins, 12 draws and 13 losses. 26 points taken at home from a possible 51. 11 wins: Sedan 2-1, Le Mans 2-1, in Troyes 4-0, Valenciennes 3-0, Sochaux 3-0, in St-Etienne 1-0, in Sedan 1-0, Auxerre 2-1, in Le Mans 2-0, Nantes 2-1, Lille 3-1. 12 draws: in Rennes 1-1, Nice 0-0, Lorient 2-2, against Lille 1-1, in Lyon 0-0, Lens 0-0, Bordeaux 0-0, in Toulouse 1-1, in Nice 1-1, Troyes 0-0, against Lorient 0-0, in Valenciennes 2-2. 13 losses: in Nancy 1-0, St-Etienne 2-1, in Auxerre 2-1, PSG 2-1, in Lens 1-0, in Bordeaux 1-0, Toulouse 3-1, against Nantes 1-0, in Marseille 2-1, Rennes 2-0, in Paris 4-2, Marseille 2-1 and in Sochaux 2-1. 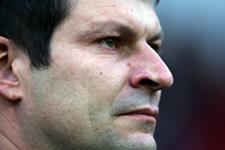 Bölöni was at the helm for the first 10 matches, collecting 7 points. Banide has won 38 from the following 26 matches. 42 goals scored:Koller 7, Menez 6, Touré 5, Gakpé 4, Di Vaio 3, Perez 2, Meriem 2, Kallon 2, Monsoreau 1, Plasil 1, Leko 1, Nimani 1, Gerard 1, 3 own goals. 6 goals from outside the area and 36 from inside; 5 headed goals; 3 penalties (Gerard against ASSE, Meriem at Troyes and Piquionne against Auxerre); 1 free kick (Menez at Valenciennes); 10 goals after crosses; 5 after corners; 2 goals after free kicks; 19 goals in the first half and 23 after break, 9 of which came in the last 15 minutes. 38 goals conceded: 10 goals from outside the area and 28 from inside. 6 headed goals; 3 penalties (Lens, Le Mans and Marseille); 1 free kick (Toulouse); 6 goals after crosses; 3 after corners and 2 after free kicks. 16 goals in the first half and 22 in the second, 14 of which came in the last 15 minutes. 8 red cards: Plasil, Touré, Perez, Gigliotti, Bölöni, Cufré, Bernardi and Kallon. Cufré and Bernardi are injured. Touré will be suspended for the visit of OL. Reactions after the match between AS Monaco and OL. 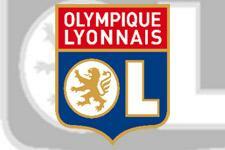 Olympique Lyonnais went down in Monaco to a goal from Jérémy Menez. So OL won’t be able to beat the away wins record this season, having equalled, with 12 wins on the road, their performance from last year. 90 minutes at the foot of The Rock for the last trip of the season – there are worse trips. OL will have to look to simple pleasures – several records to break, including a record 13th away win – to spice up this match. 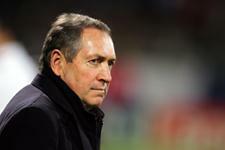 Gérard Houllier has called up an 18-man squad for the trip to Monaco. Fred (ankle), Källström (adductors) and Juninho (Achilles tendon) are injured. Ben Arfa and Baros are suspended. Wiltord was not selected.